Areaware Pig Bank (AWPIGBANK) at Pure Design / Bedroom / Holders ::: Furniture for the Home, Office, Home Office, and More at Pure Design Online! 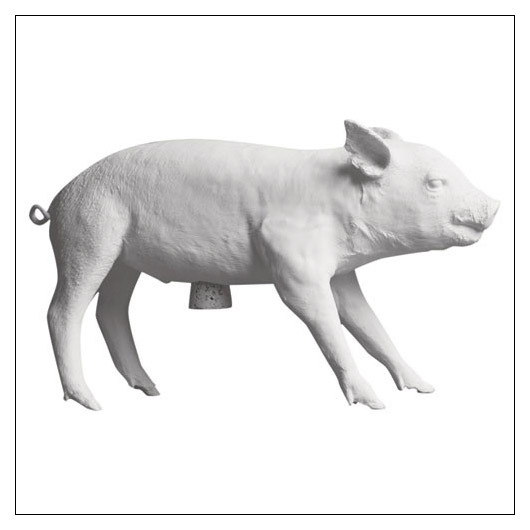 Pure Design is proud to offer the Areaware Pig Bank, created by top designer Harry Allen. This distinctive bank will hold up to $10,000 in currency. Allen designs for Habitat, Dune, and Magis, to name a few, and is known for his unique approach to interior design. Areaware has Harry Allen to thank for much of their Reality Line of fine products. Allen has won several awards for packaging design, innovative lighting, and interior design. These pigs are perfect for adding a design accent to your room and will serve as an item that could be passed down through a family. Made of resin and marble dust, and available in an array different colors and finishes, this pig was cast from a pig that died of natural causes, leaving Pure Design able to say, "no pigs were harmed in the making of this fine product."